The Preoperative Association has 12 council members who meet regularly at the Association of Anaesthetists, London. 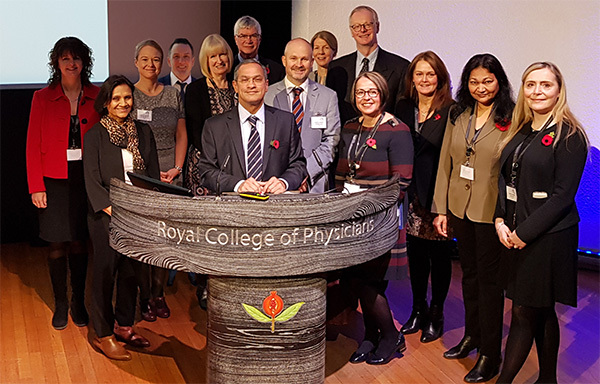 The committee is leading the development of Preoperative Assessment in the UK, and works alongside the Royal College of Anaesthetists, National Institute of Clinical Excellence and NHS producing national policies. Any person, whether a staff member in healthcare or a lay person may seek membership of the Preoperative Association, resulting in an inclusive and open association. Please see the Membership section for further details. Contribute to the production of guidelines to facilitate multi-disciplinary teams working in the Preoperative Assessment clinics. Establish and award grants for research in the field of preoperative optimisation for patients undergoing surgical procedures. Establish and award bursary for developing and implementing projects to improve patient safety in the field of Preoperative medicine. Clinical Lead for Preoperative Asessment service at Royal Liverpool University Hospitals. Consultant Cardiothoracic Anaesthetist and Clinical lead for Cardiothoracic Preassessment. Senior Sister for Preoperative Assessment services in District General hospital in Wales.